There are currently 84 PE firms and hedge funds actively hiring in California. These include private equity jobs available in San Francisco, Los Angeles, Palo Alto, Menlo Park, and more. Our California Hedge Fund and Private Equity List has detailed information on more than 640 hedge funds including whether they are currently hiring employees. This is the ideal list if you are looking for a private equity job in California. To view a full list of private equity companies hiring in California, download our CA Hedge Fund / PE List. In addition to hiring status, the list contains more than 40 categories of information on each company that is incredibly useful to job seekers. You’ll be able to sort by city or zip code, view top executives including HR, and even corporate and executive emails for submitting cover letters and resumes. The ideal resource for finding a private equity job in San Francisco, Menlo Park, Palo Alto, or Los Angeles! The list of private equity jobs above is believed accurate at the time of the post. Since these positions are constantly changing, please download the CA Hedge Fund / PE List for the latest information on which firms are hiring. There are currently 84 hedge funds and private equity firms hiring in California. These include hedge fund jobs available in San Francisco, Los Angeles, Palo Alto, Menlo Park, and more. 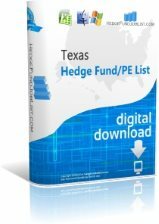 Our California Hedge Fund List has detailed information on more than 640 hedge funds including whether they are currently hiring employees. This is the ideal list if you are looking for a hedge fund job in California. 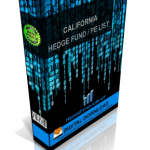 To view a full list of hedge funds hiring in California, download our CA Hedge Fund List. In addition to hirng status, the list contains more than 40 categories of information on each fund that is incredibly useful to job seekers. You’ll be able to sort by city or zip code, view top executives including HR, and even corporate and executive emails for submitting cover letters and resumes. Women’s Equity Fund is a hedge fund company based in San Francisco, CA and is led by its President and CEO, Joe Keefe. Women’s Equity Fund has $34.6 million in assets under management and has 53 employees. Whittier Trust Company is a hedge fund company based in San Francisco, CA. Their primary investment strategies are Long/Short and Commodities. Whittier Trust Company has $4650 million in assets under management and has 90 employees. The company was founded in 1935. Weston Presidio Capital is a private equity company based in San Francisco, CA. Their primary investment strategies/sectors are Business Services, Consumer Products, and Manufacturing. Weston Presidio Capital has $1350 million in assets under management (AUM). The company was founded in 1991.